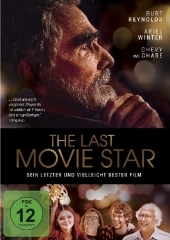 The last movie star / Schauspieler: Burt Reynolds, Ariel Winter, Chevy Chase [und andere] ; Regie: Adam Rifkin. - [Rosengarten]: Spirit Media GmbH, . Contributor(s): Rifkin, Adam | Chase, Chevy | Winter, Ariel | Reynolds, Burt.